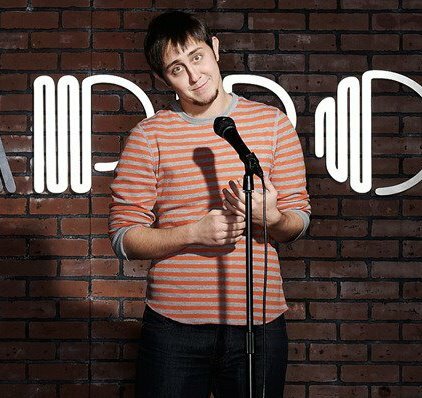 I was extremely excited to interview the highly regarded comic Jeffery Jay. Jeffery is based in L.A., although originally from Texas. Jeff is also a trans male, which means Jeffery was born a woman but identifies as a man. Jeffery is constantly on the road performing at colleges. He is also currently on the podcast “Good News and Bad News” available on iTunes. Laura: How long have you been doing stand up comedy? Jeffery: I want to say six years. L: How did you get started in stand up? J: I was eighteen when I started, and still a girl. I was not good. I was pretty, my family had money, I had no problems. I was twenty-one when I transitioned, and I thought comedy was over. I thought I was too weird, but a year after I transitioned it was still something I wanted to do. Plus, I had a story that was unique. I then picked a date for my first open mic. I promised myself I would do it. On the day of the show I didn’t let myself off the hook. I told trans jokes and they went over extremely well. I then decided to take a stand up class. The teacher said I couldn’t do trans jokes because I hadn’t earned them yet. What happened next was miraculous. Another comic named Tone Bell dropped by the class and heard what the teacher said. Tone Bell said, “You’re wrong. I saw him at this open mic. He has to do trans jokes.” Thank God he said that, because if he hadn’t, I don’t know if I could’ve continued. At that time, being trans was still so sensitive and raw for me. That gave me the momentum to continue down this path. L: Do you purposefully write about being trans, or is that just happenstance? J: No! I try not to write trans jokes, dammit! But they always end up being my best jokes. Thats my life. Just one bad restroom trip can ruin my day. L: You perform mainly at colleges. How do college students accept your material? L: What is your process for writing jokes? J: I don’t have a specific process. I do sit and write jokes, but the things that bother me the most are the things that turn out to be the funniest and most relatable jokes. I’m a firm believer that what scares you is what we need to talk and laugh about. L: Who are your favorite comics? J: Jim Gaffigan, because he created a thing no one else can ever have. He created the ‘voice of the audience.’ He owns it so well. Also Christopher Titus. He talks about how f***** up his life is, and as his audience we get to laugh with him and through him. L: What do you think has led to your success thus far? J: Honestly, I think it’s accidental timing. 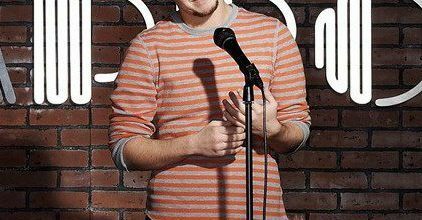 I started comedy when trans was not a thing. I started stand up in Texas. I really struggled, but because of that I learned how to tell trans jokes to people who have never heard of a trans person before, and by the end of the set they are all laughing with me. L: What advice would you give to new comics? J: Allow people to give you advice. You don’t have to take it, but always listen. My strongest jokes are the ones that I have been working on for a long time, but then someone will give me an idea that will transform the joke. L: How often do you bomb? J: Every time I’m overconfident. When I feel like I’m doing really well, that’s when I go in cocky and I don’t sell my jokes. I recently bombed so badly that it made me rethink my life and then the next night I gave it my all and bounced back. Bombing is powerful and important. I have found that if you stop bombing for awhile, you start to settle. Bombing can be the best thing for your career. L: What is your best bombing story? J: I was performing in San Fransisco. There was a group of lesbians in the front row. I started talking about the time I came out to my mom. My mom said, “But you’re so pretty. You don’t need to be a lesbian.” The joke was about my mother not understanding that being a lesbian is about who you love, not about being hot enough to get guys. Unfortunately, the lesbians took it as, ‘lesbians aren’t pretty.’ They shut down and crossed their arms. Which is just the worst. It wasn’t until my final joke that they actually loosened up and laughed. I know I shouldn’t feel this way, but I honestly felt slighted by my community. L: When did you hit your stride in your comedy career? J: I haven’t. I don’t know if you ever find your comedy stride. I genuinely believe you never stop growing and that you find several strides. Nothing is ever final. Whenever I think I found it, I end up going in a completely different direction. Every time you think you’re done, trust me – you’re not. I can’t wait to find my next voice.